Mad Max 4: Fury Road — Latest Charlize Theron Challenge!! What is this Mad Max 4 All About? Mad Max 4 is the fourth installment of the Mad Max franchise. 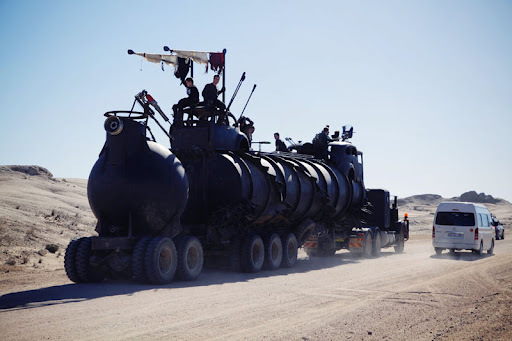 From the very first script these futuristic series took place in the “Mad Max Universe.” Miller used perfectly those deserting ‘Queenslandic’ roads and added some post-apocalyptic wasteland, with some influences from ‘Alien,’ and George Lucas’ cinematic mind. George Miller (67), the brain behind this revamped sequel, is an Australian film director, screenwriter, producer, and former medical doctor. He created Babe (1995) and Happy feet(2009, 2012). He will be directing the fourth Mad Max film, Mad Max 4: Fury Road. As tipped by friend Maria Jordan, CharlizeTheron will be Tom Hardy’s costar. Actually she headed to Namibia these days. Theron’s character “Furiosa,” will be missing the lower half of her left arm; her stunt double will be Annabelle Williams, who is actually missing that lower arm. The plot will be set shortly after the events of Beyond Thunderdome (Mad MAX 3), More… Mad Max 4: Fury Road — Latest Charlize Theron Challenge! !